$100.95 plus free ground shipping anywhere in the US. 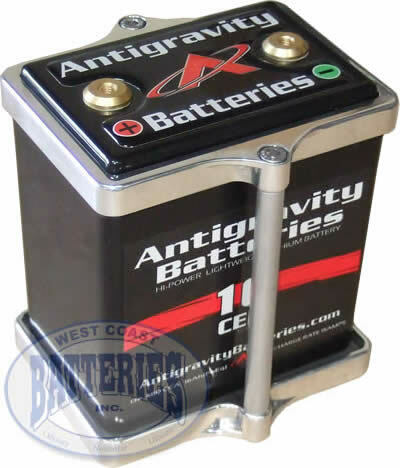 Machined and polished four piece aluminum hold down bracket for the Antigravity 16-cell lithium battery. Comes with top bracket, bottom tray and two poles. Bottom tray has four 1/4" mounting holes.